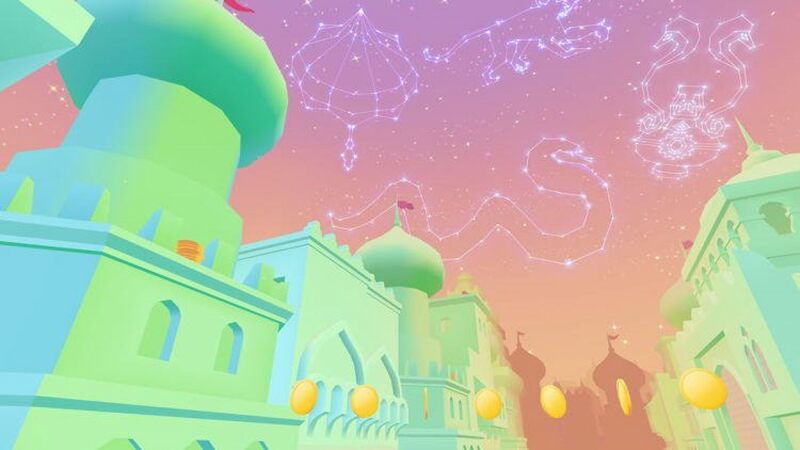 The Best Gear VR Games: The Apps That Make Virtual Reality Worth It | Birth.Movies.Death. Now you too can become the Lawnmower Man! If you want to experience virtual reality the general consensus is that you’re going to have to wait a little while and pay a whole lot. The Oculus Rift is set to release in March for $599 and requires a beast of a computer. The PlayStation VR is coming some undetermined time later this year to your PS4, and while there are no solid details on price it certainly won’t come cheap. But why wait for VR when you can jump in right now? The Oculus-powered, $99 Samsung Gear VR is currently available in stores, and while it lacks the same awesome features of its bigger siblings (headtracking via a sensor, built-in headphones, a controller) it still works remarkably well. The one caveat? You need a compatible Samsung phone (Galaxy Note5, S6 edge+, S6, or S6 edge.) 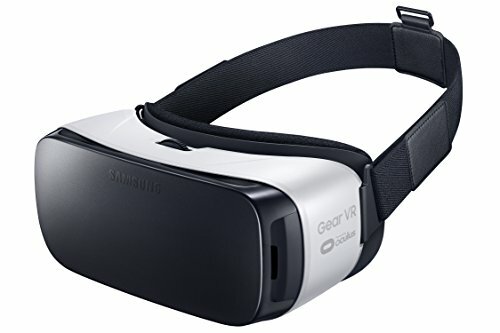 Once you have one you snap it into the front of the ski mask-looking Gear VR, and you can have virtual reality in your face right now. That's really the biggest hurdle for the technology - simply getting it on people's heads. But one play with the device will be all you need to be convinced that VR won’t be a fad - it’s a literal game changer. That’s helped by the fact that the Gear VR already has a remarkably robust store full of apps of all kinds, featuring VR videos, “experiences”, “concepts”, and, of course, games. 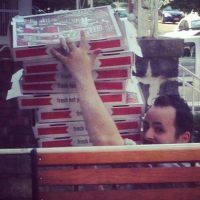 We’ve played through all of the games currently available on the store (seriously all of them - Oculus was kind enough to give us access to the entire store) and have here a list of the best of the best, a remarkably eclectic group of games that show off the power of the technology and more than warrant the price of admission. Leave it to the developers of Monument Valley (the wonderful mobile game that brought to mind an MC Esher painting) to create a wonderful, serene title that sees you exploring an otherworldly land. This here is your demo title, the first game you will show off to everyone that comes over, even casual and non-gamers. The simple controls are entirely based on your head movements, so you look at points in the world in order to to travel to them, or gaze at blocks in order to interact with them, which is easy enough for anyone to understand. It’s also the game that best shows off the power of the technology, bringing you to a strange alien world and letting you explore beautiful locations. The puzzles are simple, and the game is fairly short, but just by feeling like you’re actually there exploring this location the game is far more immersive and impressive than anything you’ve found in the “real” world. A remarkable game. 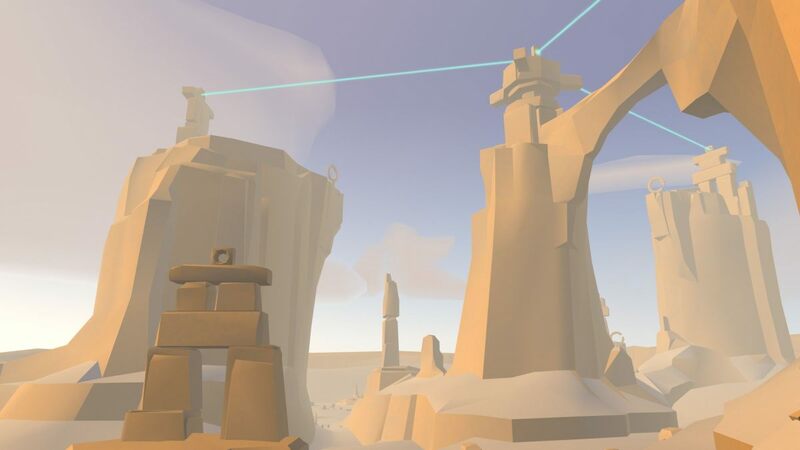 Developers are scrambling to figure out ways to incorporate VR into their current games and get in the ground floor of VR, but not all games translate easily. 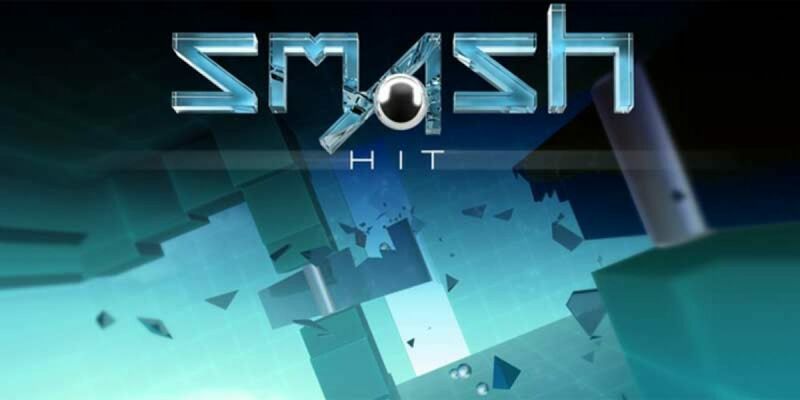 Smash Hit VR is the exception. This port of the popular mobile game remains just as addictive, if not more so. You’ll zoom through the world tapping the Gear VR’s touch pad to throw balls and break panes of glass and… well, that’s about it, although the patterns get tougher as you get along. VR makes it so you really feel like you’re zooming through the world, and thus feel much stronger about avoiding glass windows. You’ll really scramble to hit triggers to open doors before you smash into them, and the later levels send you through a twisting, turning mindmelt of an experience. In Esper you play a person with psychic abilities who’s stuck in a room performing tests constructed by some possibly nefarious individual (think Portal). By tapping the touch pad you can lift an item in the world (usually blocks) and swipe toward or away to move it closer or futher away from you. It’s simple but it really does start to feel like you’re moving things around with your brain, concentrating by holding the right side of your head. 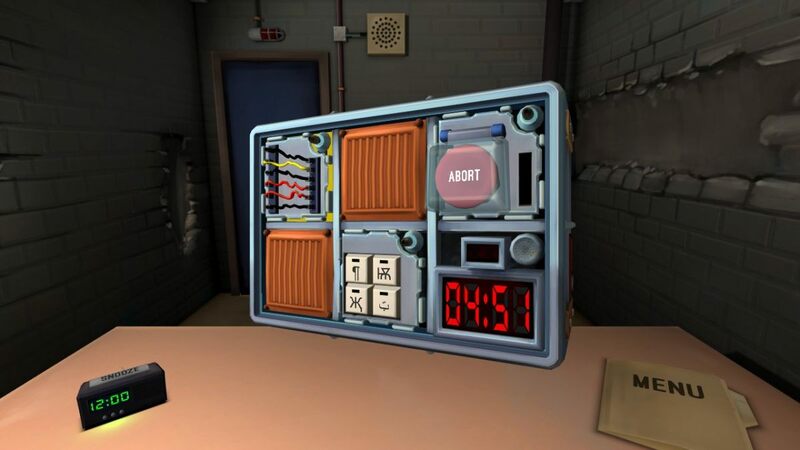 The puzzles are just frustrating enough that you feel accomplished after solving them, and thankfully not the kind you’ll get stuck on too long, which could be a nightmare in VR. Esper 2 picks up right where the first left off and expands the locations and story quite a bit, but you won’t get the same experience if you don’t start from the beginning. 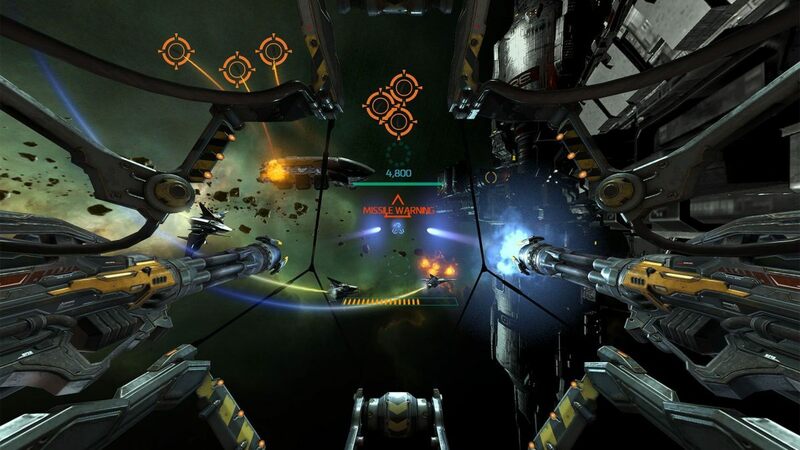 EVE: Valkyrie is being positioned as the must-have launch title of the Oculus Rift, but Gear VR gamers get their own EVE spaceship battle game in Gunjack. The caveat with this game is that instead of piloting a ship around the galaxy (ala Valkyrie), you're just manning a turret. That means you’re stuck in place like Luke in the Millennium Falcon, and no one would rather be Luke than Han. But you do have to shoot at incoming ships that come in patterns, and thus the game works like something of a VR Galaga. Power-ups allow you to equip new weapons or explode everyone on screen, and while there’s no progression to the game (the enemies get a bit harder, but they don’t introduce many new ones besides bosses) it’s perfect for a quick blast of fun. One genre no one’s seemed to consider for VR is dungeon crawling, but it’s a perfect fit when you think about it. They’re usually done from a first person perspective and feature a map-making system, so it lends itself to VR easily. Bazaar takes this concept and presents us with a dungeon crawling roguelike that sees you zooming through a middle eastern world on a flying carpet. You’ll have to avoid arrow traps, earn gold to buy maps and weapons, deal with poisonous snake bites, and find the key to the next level. Surprisingly deep and fun and the procedurally-generated levels ensure you’ll keep playing. Didn’t know VR could do party games, did you? Here’s the proof. It’s a brilliant concept - the person wearing the headset has to defuse a ticking bomb while their friends help them by consulting a bomb manual. The problem is that each bomb has random modules on it that require all sorts of different tactics, and you'll have to frantically flip through the pages to figure out which is which. Sometimes you’ll be faced with a number of multi-colored wires and have to figure out which one to cut. Some modules have mazes they'll have to navigate. The most devious one is called “Who’s on First” and has your friends yelling out words on buttons to disarm the bomb like “Ready”, “What”, and “No”, which ensures maximum confusion and hilarity. The game's available for PC as well but there's something about being alone in the VR world that makes it that much frantic for the bomb defuser. Make sure to print out the bomb manual in order to get more people in on the fun. Love adventure games? How about horror games? Dead Secret has you set. 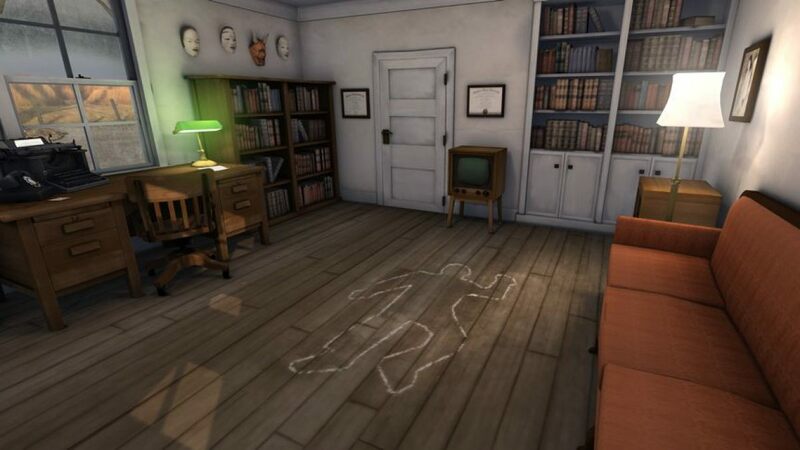 It sees you playing a journalist investigating the mysterious death of a man in his home. You'll explore the crime scene and start to realize that this guy had some pretty weird things going on. There’s a surprising amount of text to read in this story-heavy game, and a lot of great puzzles to ponder. Hopefully you’ll be able to work under pressure because your nerves will constantly be on edge while you do so. Dead Secret is definitely not for the faint of heart - while similar jump scares work well in normal horror games it’s hard to describe how terrifying it is to look up into a mirror and see an apparition literally standing behind you. This game is coming to PS4 and PS3 soon but it’s hard to imagine it working quite as well as it does here. As you might tell from the name, this is yet another riff on the classic Oregon Trail series of games, except this time set in space. (It’s not nearly as unforgiving, thankfully.) But this is the kind of game you wouldn’t expect to see in VR, especially as it already has a successful PC version. 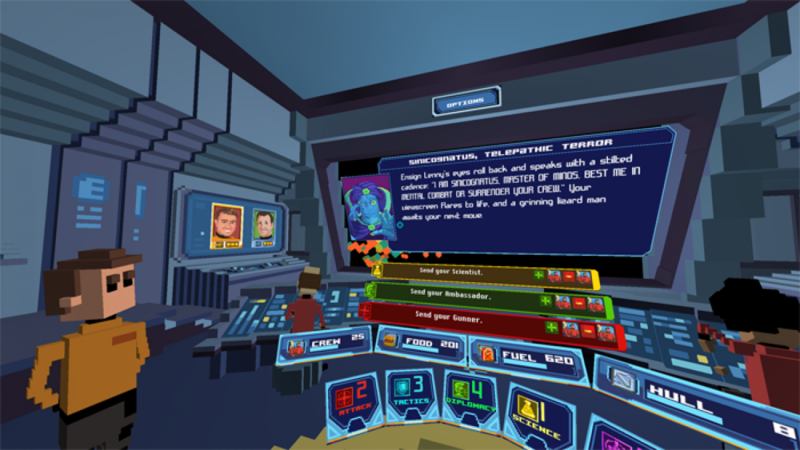 This port has been custom-built for VR with a brand new UI that places you in a very USS Enterprise-looking captain’s chair. You’ll sit there and issue commands about which planet to visit next and how to go about challenges - challenges that usually end up with most of your red shirts dying horribly. It’s definitely not a game that needs to be in VR, but it’s one I found myself returning to again and again just to attempt another mission… just to die of space dysentery. If you’re a fan of the classic hacking game Uplink, you’ll love this modern update. In it you play a computer hacker who’s infiltrating various corporate networks to steal information and money, and you can use the earnings from your hacks to upgrade your equipment… all the better to hack harder targets. 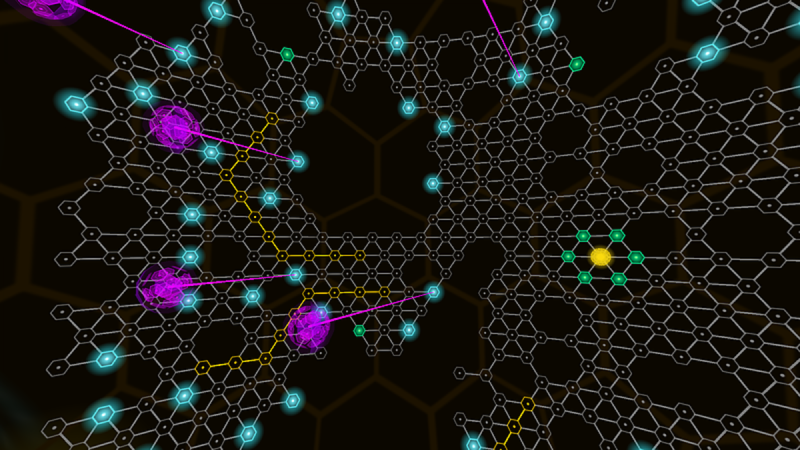 You’ll hack by attacking nodes that are placed in a 360 degree arc around you. It’s a puzzle game that really takes advantage of the full space, and you’ll need an area you can easily turn around in. Yet another experience that simply couldn’t be replicated without the technology, and one that you’ll lose yourself in for hours.